Ant-Man and the Wasp is playing in theaters all over the world and director Peyton Reed took some time to answer some specific questions about the sequel since it’s been out for a while now. One of the big questions before the movie was released and now afterwards, is how it directly connects to Avengers 4. The film doesn’t come out and say how it directly connects to the upcoming Avengers movie, so there have been numerous theories over the past few months, with many settling on time travel, which may have just been confirmed by Reed. At the end of Ant-Man and the Wasp, Michelle Pfeiffer’s Janet van Dyne character warns Paul Rudd’s Scott Lang to look out for time vortexes before he enters the Quantum Realm. When asked about the possibility of Lang traveling through time for Avengers 4, Peyton Reed says that it can happen. Specifically, the director was asked about Ant-Man showing up in past Avengers scenes as a result of time travel. Reed had this to say. Peyton Reed also revealed that the Quantum Realm is “definitely a priority” for upcoming Marvel Cinematic Universe projects. However, he wouldn’t speak any further on the matter, noting that he had to be careful of “Marvel snipers.” It has been long-rumored that the Quantum Realm will also be a large factor in Brie Larson’s Captain Marvel movie, which hits theaters just ahead of Avengers 4. Leaked pictures from the set of Avengers 4 have shown Scott Lang with the Avengers during the Battle for New York. Lang wasn’t present in the first Avengers film, so some kind of trickery has to have been used. Many were of the thought that Lang shared his knowledge of the Quantum Realm and Hank Pym’s technology to help with the battle against Thanos. 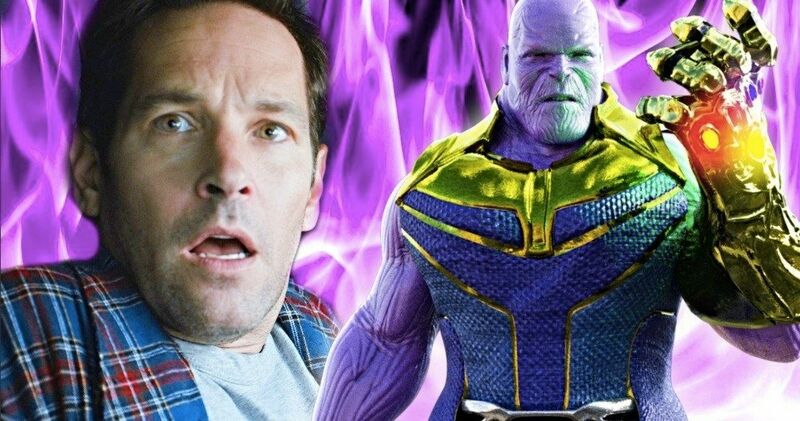 However, the ending of Ant-Man and the Wasp threw a monkey wrench into that theory. It now looks like Lang might either learn to utilize the time vortexes that Janet van Dyne warned about. It certainly looks like time vortexes in the Quantum Realm are going to play a large part in bridging Ant-Man and the Wasp as well as Captain Marvel to Avengers 4. Nothing has been officially confirmed, but Peyton Reed is dropping some of the best hints that we’ve seen in regard to time travel playing a key role in the upcoming movie, which could also utilize other dimensions that could be related to the time vortexes. There’s still quite a while to go before Captain Marvel and Avengers 4 hit the big screen, so we’ll have to settle for more theories for the time being. The interview with Peyton Reed was conducted by the Huffington Post U.K.